Island of Sveti Nikola, June 27 at 10 p. m.
This percussion virtuoso was born in Mumbay in 1951 into a family of musicians. His grandfather played the sitar, and his mother, Shoba Gurtu, ranked highly among Indian singers. While young Trilok may have been preordained for music, the choice of instrument turned out to be a result of pure coincidence. This is how Trilok remembers it: …My entire family played harmonic instruments and sang and danced. My brother Ravi and I are the only percussionists… My mother told me when I was three or four years old that she had a percussionist who always arrived too late or never arrived at all. Somewhere along the line, my father said: "Trilok drums on the table all the time - get him down. …That's how I chose my instrument - or the instrument chose me. Working with his mother, Trilok not only learned a lot about percussions but also about singing, which proved very useful for his later career. In the 1970s, his interest extended beyond tablas to traditional western drums and other percussion instruments and he started to perform with his brother in a band greatly influenced by John Coltrane and Jimmy Hendrix. He also performed with western musicians, including the trumpeter Don Cherry, who played an important role in Trilok's music. In the mid 1980s, he joined the legendary band Oregon to replace late Collin Walcott, who tragically died in a car accident. Trilok released three albums with Oregon and in 1988 started to work with John McLaughlin. These were the times of his first own studio projects and solo albums, appreciated not only by jazz, but also by world music lovers. 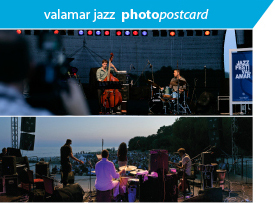 The list of participating artists is quite impressive and includes Joe Zawinul, Jan Garbarek, Pharoah Sanders, Ralph Towner, Bill Laswell, Pat Metheny, to mention a few. Trilok's music is universal. Even though he has been labelled the ambassador of Indian music, he finds this label meaningless: I was born in India. That's where my roots are. Because I've always played virtuoso, people always categorise me as jazz. There was no category of world music when I started. […] But Indian music is based on improvisation and the music from Bollywood is very groovy - almost like Afro-Brazilian music. 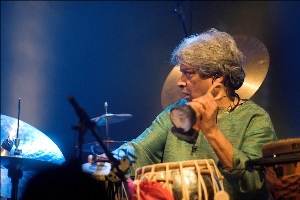 Trilok Gurtu moves so effortlessly between different musical worlds. His sense of musical direction is very complex and his spirituality and non-judgmental empathy for different cultures has lead him on an unending search for new ways to express himself on the solid foundation of authentic traditions. It is this search that brings him to Poreč, with a new project.